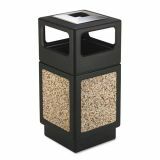 Safco Canmeleon Ash/Trash Receptacle, Square, Aggregate/Polyethylene, 38gal, Black - Outdoor receptacle features a molded-in stone aggregate exterior, open sides, and recessed bottom. 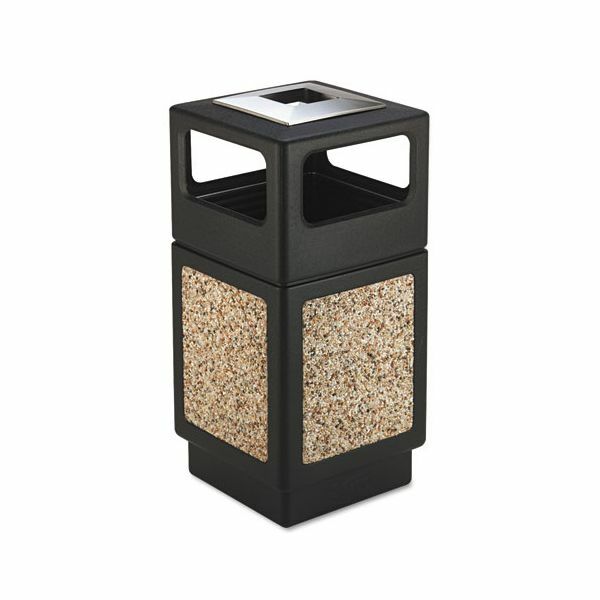 Telescoping base hides your trash bag. 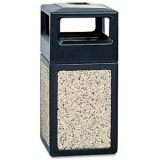 Receptacle is molded from high density polyethylene with built-in UV inhibitors and is easily adaptable for anchoring or weighting devices. 13" x 16" 13" x 16"